Online casinos have seen a huge increase in players wanting to enjoy some of the best blackjack games for real money in mobile devices, whether they are relaxing at home or out and about. Mobile technology has boomed in recent years. Now everyone one is carrying a smartphone, essentially a pocket-sized computer, which is used in a variety of tasks in their everyday lives. In this guide to mobile blackjack, you can first find out what devices you can play on. Then the question of whether the games are legal or not is answered before sorting out where to find the best games. Finally, the blackjack games themselves are looked at so you know what to expect. Mobile Online Blackjack – What Devices Can Be Used to Play Blackjack On? Basically, if your device is up to date and can connect to the internet, either WiFi or 3G/4G, then you can enjoy playing real money blackjack. 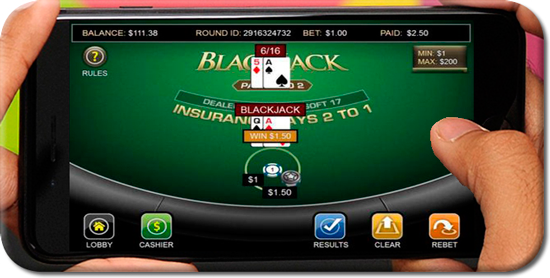 Mobile online blackjack is playable on any late-model Android or IOS smartphone or tablet computer. That means most real money blackjack apps should be compatible with Samsung Galaxy, Google Pixel 2, OnePlus 5, iPhone, or iPad. Mobile casinos are less likely to be optimized for Windows Phone, while even less likely to be compatible with BlackBerry OS or Symbian OS phones (Nokia). The best mobile blackjack casinos develop apps for all bettors, though. To play real money blackjack in smartphones, you’ll need to go to an online casino and download their mobile casino app. Some mobile blackjack casinos for real money do not require a download. Devices which use the Android operating system control the biggest percentage of the global smartphone market, so most online blackjack casinos are certain to support blackjack for Android smartphones and tablets. Android has the most gaming app designers and supports advanced graphics and gameplay. You should have no issues playing mobile blackjack on an Android device. 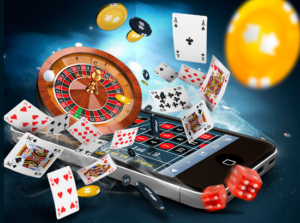 Apple IOS devices like the iPhone, iPad, or iPod Nano still have more users than any one single Android brand phone, so mobile casino app designers pay a lot of attention to IOS development. Players will find iPhone blackjack and iPad blackjack supported in most mobile casinos. If you the Flash Games do not run on an IOS device, try enabling HTML5 or Java to play mobile blackjack for real money. Some US-friendly online casinos like Bovada, Slots.lv, or Ignition Casino support mobile blackjack without a download. Sites which do not require a specific download, but instead play in the web browser, are more likely to support real money mobile blackjack with a Windows Phone. By and large, bettors will prefer to play real money blackjack in tablet computers, if they have the choice. Tablets have bigger screens, better support for one-touch control, and better graphics than smartphones. If you want to play mobile blackjack for real money, it’s best to invest in an Android tablet or an iPad. For Samsung, Google, and Lenovo users, real money blackjack on an Android tablet is the best way to play mobile blackjack. As we enter 2018, my Top 5 picks for Android blackjack are the Samsung Galaxy Tab S3, Google Pixel C Tablet, Asus ZenPad 3S 10, Huawei MediaPad M3, and Lenovo Tab 4 10-Plus. If you want an affordable way to play tablet blackjack, try the Amazon Fire HD 10. 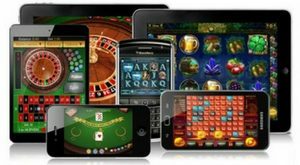 While tablet gaming might not be as handy for everyday mobile gamers, each tablet provides a better gameplay on Bovada’s Zappit Blackjack or Single-Hand Blackjack than their Android smartphone counterparts. If you don’t mind the cost, Apple iPad blackjack is the best way to go. The iPad is so highly-rated because it has world-class graphics, sounds, and gameplay. One complaint I have with iPhone casino gambling is the sound quality is a bit under par if you have any background noise. That is not a problem when using a real money blackjack app with an iPhone. The most popular online casinos support iPad blackjack games, so you’ll have no problems if you bet on mobile blackjack using an iPad. Windows Phone tablet users have their choice of either of the Windows Phone 8.1 operating system or the Windows 10 Mobile operating system. Since Microsoft stopped supporting Windows Phone 8.1 in August 2017, the company is suggesting that Lumia device users upgrade to Windows 10 Mobile OS in the near future. Anyone wanting to play real money blackjack with a Windows Phone tablet in 2018 and beyond should consider upgrading to Windows 10 Mobile, as well. Tablet computer experts suggest that future releases might run using a still-in-development operating system named “Windows Core OS”, so prepare for a future upgrade or a move to another mobile tablet for blackjack. Are Online Mobile Blackjack Games Legal? The answer to this depends on your local laws, although if you are ok playing online games via your computer then playing on your phone is no different. If you are in the US there are some states which prohibit online gaming, although no one in America has even been arrested let alone taken to court for playing online casino games. European governments tend to permit online casinos, although they may enforce conditions, like in France where only French licensed operators can provide games. For the most part, the legality of playing on mobile devices is an issue the casinos have to deal with, so providing you have checked your local legislation, if you find a licensed mobile casino willing to take wagers off you, it will likely not be illegal. While you can find numerous apps to play mobile blackjack in either the Apple or Google stores most of these will not permit real money play. Instead, you have to visit a real money online casino site through the browser on your device. Here you will be invited to either download app directly from there or visit the site’s Instant Play client, where you can find many top quality games which run via your browser. There are many casinos around, all offering different kinds of deals so it pays to do a bit of research before signing up. Just a few simple steps, like searching for the casino’s name or checking out reviews can quickly indicate whether they are trustworthy or not. You should also be checking how much value their bonuses offer you and whether you feel their banking terms are fair. Unless you live in the United Kingdom, you won’t find many real money gambling apps for social media sites like Facebook or social gaming sites like Zynga. Those that exist tend to be for sports betting and not casino gambling. 888 Casino App – 888 Casino has a real money casino app available for Android and for download on the App Store (IOS). 888 Casino is licensed for real money play in New Jersey, Nevada, and Delaware in the United States — along with many countries worldwide. The US-friendly gaming app has a $20 no-deposit bonus, along with games like Classic Blackjack and American Blackjack. SugarHouse Casino App – SugarHouse Casino in Philadelphia has a partnership with Golden Nugget Casino in Atlantic City, so the “Play SugarHouse” app allows real money blackjack in the New Jersey jurisdiction. The SugarHouse mobile casino app is available for Android and IOS devices (in the App Store). Due to the October 2017 online gambling legalization in Pennsylvania, Pennsylvanian real money blackjack players will have access to the SugarHouse Casino app in the coming months. IOS blackjack players will find a similar dearth of real money gaming apps. American players who reside in New Jersey or Pennsylvania are in luck, but most other US residents won’t be so lucky. Don’t worry, because I’ll discuss other real money blackjack apps later for people residing outside of New Jersey. Golden Nugget Casino App – Golden Nugget Atlantic City has its own casino app, which include live dealer blackjack, Atlantic City Singlehand Blackjack, Sidebet Blackjack, Vegas Blackjack, and Classic Blackjack. For people visiting New Jersey, Golden Nugget’s casino app is the best chance to play live blackjack for real money on your Android smartphone, Android tablet, iPhone, or iPad. Virgin Casino App – Virgin Casino has a gaming app at Google Play and in the App Store available for real money blackjack players. Like other mobile casinos on this list, Virgin Casino has a licensing deal with an Atlantic City casino — in this case, Tropicana Atlantic City. Virgin Mobile Casino also partners with Gamesys to provide excellent mobile casino games. Virgin Casino’s real money deal includes $100 in casino cashback. I found no real money blackjack apps on the Windows Store. Bet365 and William Hill each have sports betting apps which can be downloaded for free at the Windows Store. Free casino gaming apps like Slotomania exist on the site, but no real money casino apps of any note can be downloaded for Windows Phone. If you want real money blackjack apps, you’ll need to go to online casinos and mobile casinos. Luckily, I’m about to tell you how to download blackjack apps at mobile casinos. Is It Possible to Play Mobile Blackjack for Real Money? If you want to play blackjack for real money, you’ll need to download the best real money blackjack apps from an online casino. Mobile blackjack works a bit differently than online blackjack, though signing up and making a deposit are the same. If you have a player account at an online casino, you can use that account for mobile blackjack. If you don’t have an account, signing up takes a matter of minutes with a simple registration form. Download the mobile casino app for Android, IOS, or Windows Phone, depending on your device. Some online casinos do not require the installation of an app, including several of the top US-friendly online casinos. On most mobile casinos you can find at least one blackjack title, which is normally the standard American game. You may also find different variations which allow you to surrender or play multiple hands or other international versions of the game like European Blackjack and Pontoon. Many online casinos now feature different variations on the blackjack game in addition to the more traditional ones. While most games will appear in the same way as on a computer, certain games look better and are easier to control on touch screen devices. This can often be found when you have two of the same blackjack game presented by different software providers. When playing at a mobile casino, the entire game selection might not be available. It takes time to optimize an online casino game for mobile devices, so not every game is converted. That applies especially to online slots and also to video poker because so many titles with similar game mechanics exist. Almost any mobile casino is going to have a version of mobile blackjack, mobile baccarat, mobile roulette, and mobile craps. The top mobile casinos have several versions of each game, along with a few table poker games (Let It Ride, Caribbean Stud, Three Card Poker). Typical bet limits for mobile blackjack at RealTime Gaming and Microgaming casinos has a minimum of $1 to $5 per hand, while $250 to $1000 is a typical maximum hand. RTG blackjack’s max bets are $500 for most forms of blackjack, but $300 for single-hand and double-hand blackjack. Multi-hand blackjack is the game for high rollers because it allows a player to exceed the standard bet maximum with multiple hands. For instance, NetEnt has a maximum bet of $1,000 but offers a multi-hand blackjack with up to 5 hands at a time, so the effective bet maximum is $5000. The top mobile casinos need to offer several variations of blackjack, mobile play on several operating systems, and a mobile deposit bonus. Our pick for US mobile blackjack is Bovada Casino because it offers a big welcome bonus and a variety of blackjack games. Our pick for international mobile blackjack is BetOnline Casino because it offers multi-hand mobile blackjack and a competitive mobile deposit bonus. Bovada Mobile Blackjack – Bovada is the top mobile casino for US mobile blackjack players because Bovada supports mobile gaming for Android, iPhone, iPad, Blackberry, and Windows Phone. Bovada Mobile Casino has five blackjack variations, including Classic Blackjack, Zappit Blackjack, and Single-Hand Blackjack. Bovada has a $3000 welcome deposit bonus, plus a special $10 free bonus chip for mobile players. BetOnline Mobile Blackjack – BetOnline Casino is a top mobile casino for international blackjack players because it supports all the top mobile devices: Android, iPhone, BlackBerry, or any other Internet browser-enabled mobile phone. BetOnline Casino has a QR Code which allows smartphone and tablet computer users to bet on real money blackjack. Scan the code and you’ll be directed to BetOnline mobile-friendly homepage. BetOnline not only has Multi-Hand Blackjack and European Blackjack, but smartphone players have access to live dealer blackjack streamed live from the Hippodrome Casino in London. Online casinos provide blackjack for desktop and laptop computers. If you buy a computer screen designed for gaming, online blackjack provides the best graphics and sounds. Mobile blackjack on a smartphone provides more convenient and flexible betting as you can bet wherever you go at any time all day long. At the same time, mobile blackjack has less vivid graphics and sound quality, though gameplay should be little-affected. Mobile gambling apps on a tablet are the best mix for real money blackjack players because it blends the convenience of mobile blackjack with larger screens, more pixels, and cinematic graphics quality. Whichever way you choose to play blackjack for real money, sign up for accounts at top casinos like Bovada or BetOnline to have the best blackjack experience.